Happy Monday, Friends! I'm away for the week, but am so happy to have some highly talented friends filling in for me, continuing the My Favorite 5 series. Today, I'd love for you to meet Mallory from Charming in Charlotte. I had the privilege of meeting Mallory face to face this summer and so enjoyed our time spent together. 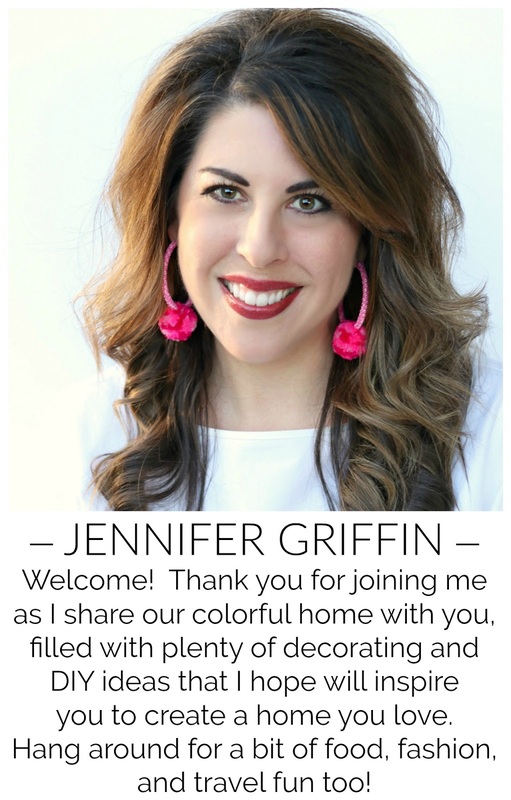 This gorgeous, gracious lady has a fantastic eye for design and is making her house into a beautiful home, all while holding down her day job with Project Nursery and caring for the most darling little toddler! I can't wait for you to see Mallory's Favorite 5! 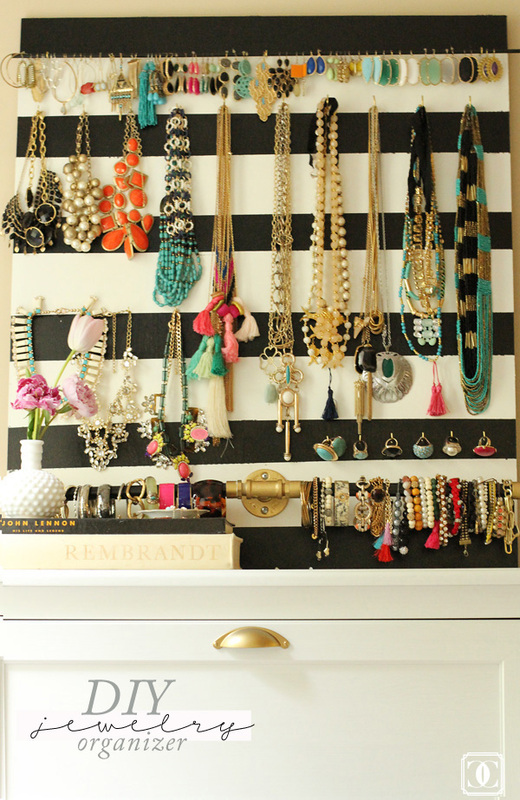 I really had to get my jewelry hoarding situation under control, so I organized it with this super easy DIY. I love that I can see everything now! I had the best time putting together my daughter's nursery. It's a lot of girly and a little glam and has come to fit her personality perfectly. Read all about how that went down here. 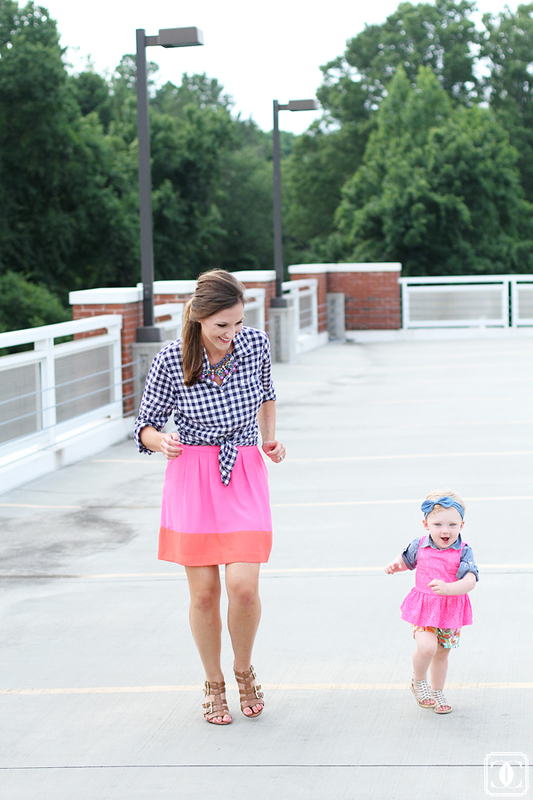 Starting at the beginning of the summer my little lady and I starting doing a fashion post each week called "What We Wore" where we show off fun and affordable looks for mom and/or baby. I plan to make a book of the photos at the end of the year, and even though it's only been a few months, it's been incredible to watch her grow and her personality change through the photos. 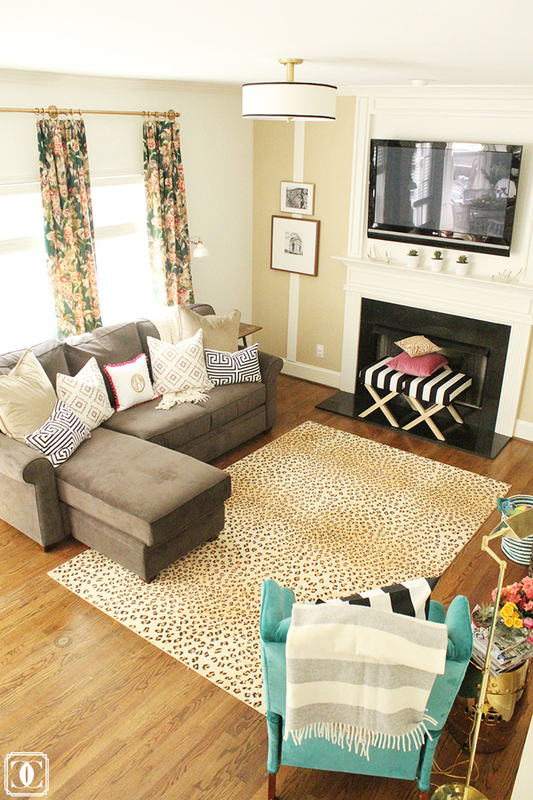 I recently overhauled our living room to brighten it up and re-arrange things to make it much more functional for our family. Read all about that process here. Although her Hot Air Balloon First Birthday Party post was a very close second, her birthday gift still has my heart. 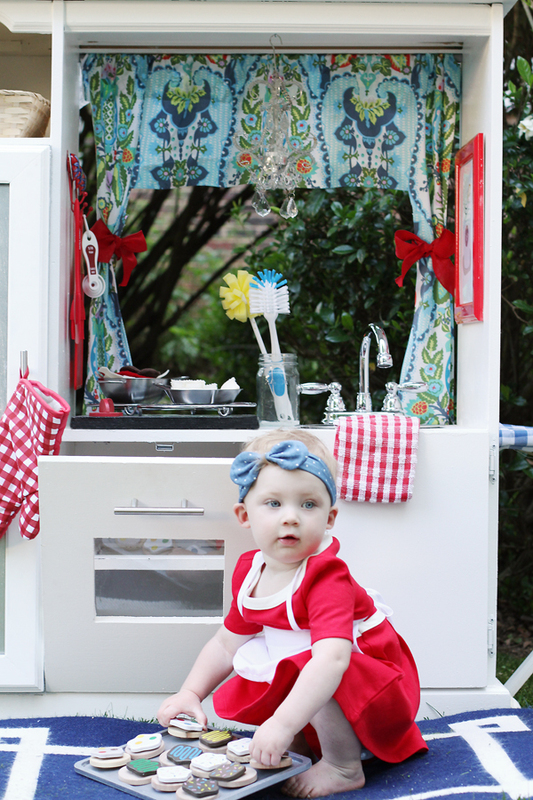 My husband and I found this old TV cabinet at Goodwill for $7 and totally overhauled it into the perfect play kitchen. She adores it and now we reap the rewards of freshly baked (wooden) cookies on a daily basis. Whew that was hard, but fun to look back at what I've written over these past 18 months. I hope that you'll stop by Charming in Charlotte and say hi! You can also track me down on Instagram and see what kind of mischief me and my little side kick are getting into. Thanks again for having me Jennifer! I cannot wait to hear from you when you come back, I know that you will be brimming with inspiration from your travels! I have to keep my jealousy in check when I see all of that fabulous Kendra Scott jewelry, and isn't that nursery just the dreamiest? You'll also want to check out her cozy master bedroom reading nook, and if you have very little ones, this is such a fun activity to try! Thanks again for sharing with us today Mallory, you're just the sweetest! I love Mallory's house! She has such great style and makes her DIYs look so glamorous! Mallory is so darling! Great post Jennifer! Hope you're enjoying Poland- I cannot wait to see pics and hear more about it! Love Mallory and her fabulous style, and those fashion posts with her little are too adorable! Mallory has some serious talent and style! 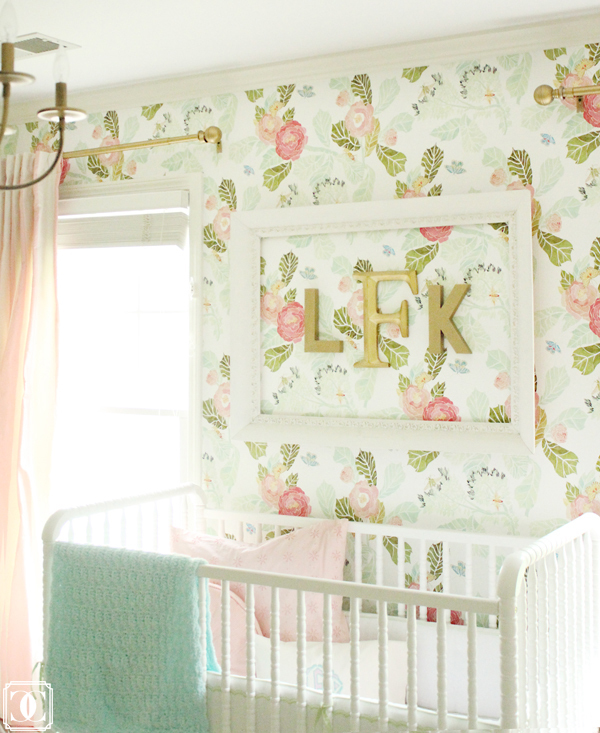 Her nursery is one of my favorites ever - so amazing! Mallory is the sweetest and I love her style. Great round up! 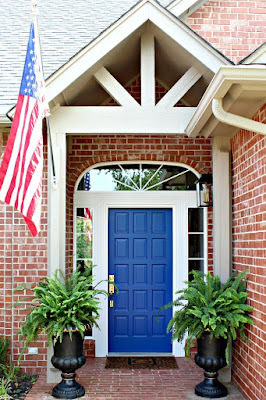 Mallory's home and projects rock! Love this Take 5!! Love Mallory and her home is totally amazing.